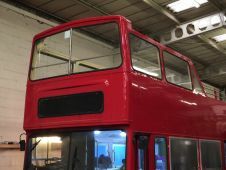 Our dedicated team of specialist technicians provide a mobile service for bus and coach windscreens where we come to you at a convenient time and place to get the job done for you quickly and efficiently and get your vehicles back in service as quickly as possible. 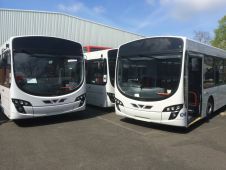 For large corporate bus and coach fleets to privately run buses and coaches, peace of mind is part of the service with all work being carried out by highly skilled technicians and backed by a full guarantee. 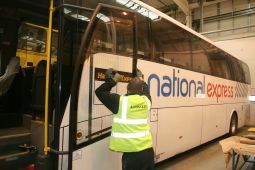 We can handle all types of bus glass replacement such as; side bay windows, entry doors, double glazed units, rear screens and driver’s signal units… No matter what the type of glass you need, we hold a large amount of PSV glass in stock and work closely with our suppliers to ensure frequent delivery so most work can be carried out on a same day basis.